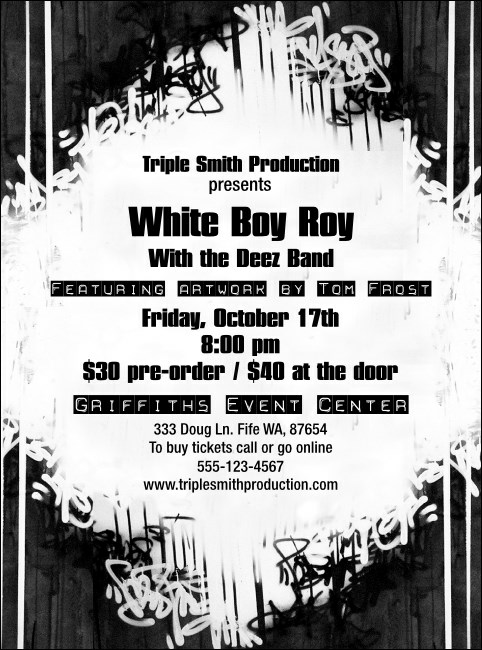 Its gonna get hot in da club with a Hip Hop BW Flyer from TicketPrinting.com! Hip Hop graffiti style artwork and fully customizable text make this Flyer stand out from the crowd. Just fill in your information in the template, and let TicketPrinting.com do the work for you!